In an effort to reduce congestion, increase capacity and improve travel in east Wichita, the Kansas Department of Transportation (KDOT), Kansas Turnpike Authority (KTA) and the city of Wichita have partnered to provide improvements at the Webb Road intersection and the Greenwich to K-96 corridor. The more than $300 million East Kellogg expansion includes new intersection designs at Webb and Greenwich and better access to the turnpike. 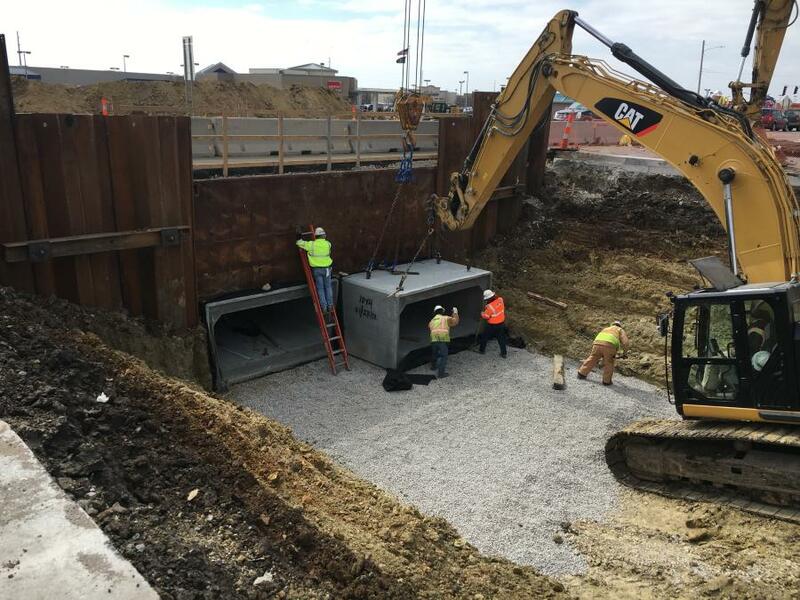 “Projects like this reconstruction of an expressway into a freeway with multiple interchanges is a huge undertaking,” said Don Snyder, KDOT Wichita Metro engineer. Gary Janzen, city engineer of the city of Wichita, said a great deal of thought and effort went into mapping out construction. “The projects were originally planned as two separate projects to improve Kellogg to a freeway one mile at a time,” he said. “But because of changes to the design of the first project that impacted direct access to the KTA, the second, which re-establishes those direct connections, was expedited and managed by the KTA, due to the high level of coordination required with their infrastructure. The Kellogg & Webb project, which stretches from the East Wichita Turnpike access to just shy of Greenwich, will upgrade Kellogg to a six-lane freeway, with an interchange at Webb Road, frontage roads and modified access to the KTA at Exit 50. Construction plans also call for aesthetic enhancements, waterline, sanitary sewer, and stormwater improvements, along with landscaping. The Kellogg, Greenwich to K-96 project will improve the next portion of Kellogg east of the Webb project to a six-lane freeway with an interchange at Greenwich, bridge over Zelta, new connections to the KTA and frontage roads. Officials broke ground on the expansion in August 2015. Attendees at the event included state, local and project leaders, along with Mike King, who at the time served as Kansas transportation secretary and KTA director. “All three agencies were excited to break ground on this project, and the ceremony went extremely well,” said Janzen, who added that construction began not a moment too soon. “Kellogg traffic, which is around 40 to 50,000 vehicles a day, has to stop at the side roads — Webb, Greenwich and Zelta. And those side roads have to wait on Kellogg traffic. Upon completion of the project, Kellogg will be improved to six lanes and will go over or under the side roads, changing it to a freeway that no longer has to wait on side-road traffic. This will significantly reduce congestion both on Kellogg and the side roads. The cost of the massive East Kellogg corridor improvements includes design, right-of-way, utility relocation, construction and construction engineering. A large portion of the price tag will be paid with T-WORKS funding of $162 million. The remaining Kellogg & Webb segment costs are being paid by the city, while remaining Kellogg, Greenwich to K-96 segment expenses will be funded by the city, KDOT and KTA. The Kellogg & Webb project is being managed by the city of Wichita. The Kellogg, Greenwich to K-96 project is overseen by KTA. For the latter, the three agencies joined together, with KTA managing and bidding the project. Engineers for each organization have experience in breaking out costs to attribute the correct expenses to the appropriate partner. Kellogg & Webb construction should take about four years, with anticipated completion in late 2019. The Kellogg,Greenwich to K-96 project construction should take about five years, and is expected to be finished by late 2021. In early December 2016, crews marked a milestone with completion of the KTA bridge demolition. The tear down took a total of 17.5 hours, and completed 36 hours ahead of schedule. Pearson Construction served as the demo contractor. Workers completed as much preparation work as possible in advance of the closure, including removal of the approach slabs and embankments, leaving the freestanding bridge structure only for demolition. Crews had a considerable amount of heavy equipment, including a crane with wrecking ball, front end loaders, dozers and excavators available to pad the road, demolish the bridge and clean the road to reopen. Another milestone was reached in late 2017 for both projects, when the newly opened frontage roads began carrying US-54 traffic. 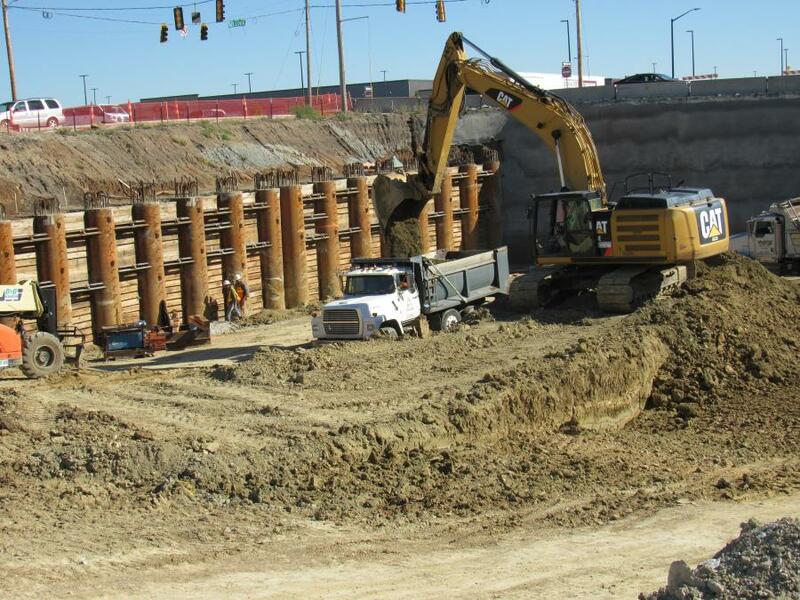 This achievement allowed for the grading and bridge work to begin on the freeway portion between the frontage roads. The west half of the Webb Road bridge is anticipated to be completed this summer. The bridge is a steel tub-girder structure with the outermost girders being curved. 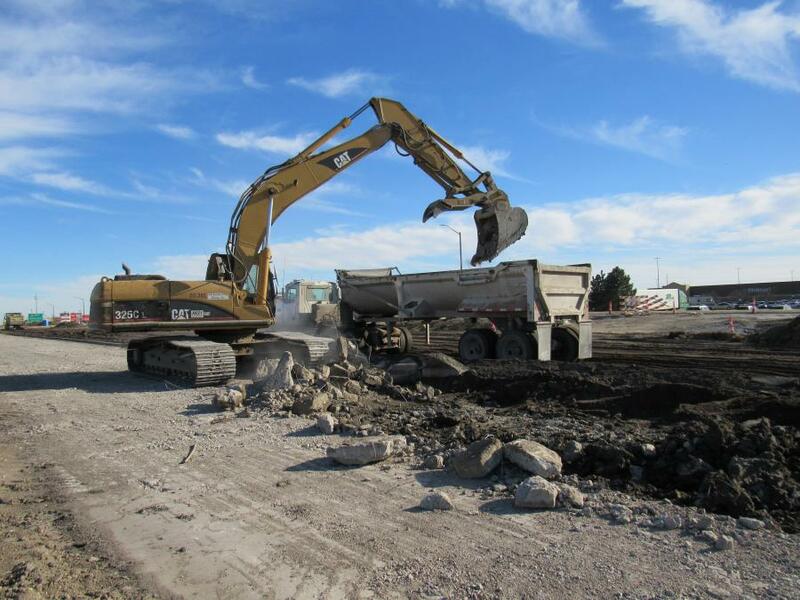 According to Roger McClellan, president of general contractor Wildcat Construction, “Communication is the key to the project success, and we work tirelessly to establish and maintain positive relationships with the city of Wichita, KDOT, Kansas Turnpike Authority, subcontractors and suppliers. It is a challenging and ongoing process, but as general contractor, it is our responsibility to foster an environment where communication leads to collaboration. Significant earthwork movements, retaining walls, and a total of seven bridges are in progress, as traffic has been moved to the outer limits of the Kellogg corridor from Cypress to Zelta. Utility relocation has been completed for the entire corridor, along with the frontage roads built and opened to carry traffic during mainline construction. The work has not been without its share of challenges. In early 2017, a 20-in. water line providing service to customers along Webb Road, from Orme to Lincoln, was damaged due to construction work in the area. The interruption affected four area businesses and a 124-unit apartment complex. Dealing with changing weather also is an issue, although there have been no major setbacks because of the elements. The condition of the job site prior to construction was less than ideal. To date, crews have moved 410,000 cu. yds. of dirt and anticipate moving an additional 830,000 cu. yds. up to completion. Cranes and other material handling equipment will be used for the retaining wall and bridge construction. 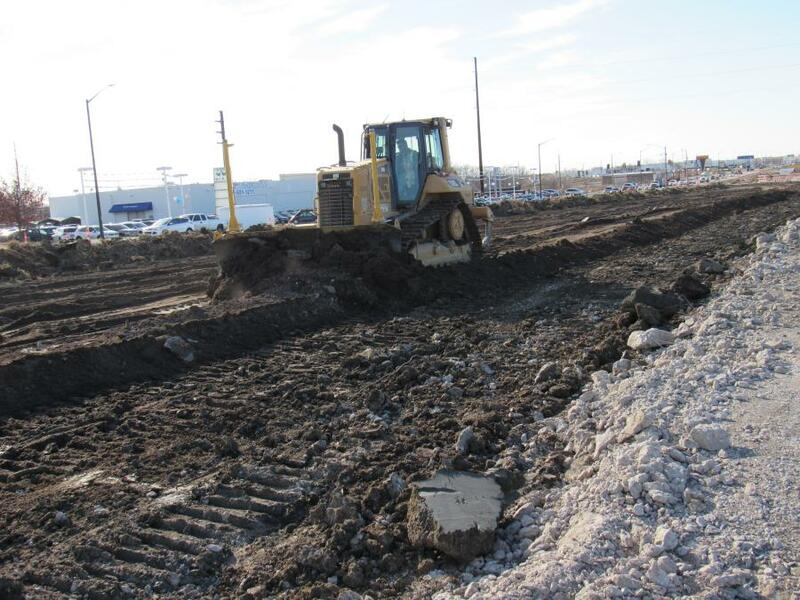 Excavators, trucks, loaders and dozers will be used for earthwork and remaining storm drainage systems. Some of the main materials that will be permanently incorporated into the projects include structural steel, concrete, reinforcing steel, reinforced concrete pipe, precast wall panels and aggregates. Custom formliners also are being used to create a unique pattern on the bridges and retaining walls, in an effort to pull the two projects together. McClellan noted that mainline construction will be the most time-consuming portion of the project, as an underpass at Webb Road and overpasses at Greenwich Road and Zelta Road are constructed. These drastic changes to the profile of Kellogg will eventually allow Kellogg traffic to flow above or below arterial traffic. A number of precautions also have been taken during the ongoing work. “All on-site employees, supervisors, inspectors and project team personnel are required to follow OSHA's construction standards during work activities,” said McClellan. “Work days begin with stretch & flex for Wildcat crews, and job safety analysis forms are completed by foremen for the work day's activities. For sensitive activities, targeted pre-work meetings are held between field and project team personnel to communicate and implement a work plan that addresses all needs and concerns. As a general rule, two lanes of traffic are open in each direction and left turns are prohibited during construction. There have been some expected traffic delays and some congestion, but officials are working to be proactive in communicating to the public through various social media networks provided by the partners. Although the ongoing work can be disruptive at times, including challenging traffic changes, feedback from the community has been positive, overall.